Millcreek Herbs LLC - Dedicated to the understanding, wise use and enjoyment of herbs. "Dedicated to the understanding, wise use and enjoyment of herbs." In 1998, Merry Lycett Harrison, RH (AHG) established Millcreek Herbs, LLC, as a rich resource for herbal education, preparation, consultation and research. As a certified clinical herbalist, teacher, author and professional member of the American Herbalist Guild, Merry enjoys educating people about the safe and appropriate use of herbs in diet and healthcare and offers clients botanical therapies such as her popular Thrive Tonic®. Millcreek Herbs' very effective products often include many wild herbs that you won't find anywhere else. 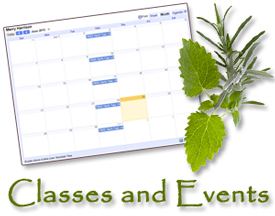 Attend one of Merry's informative and hands-on classes or invite her to speak to your group or organization on any number of herbal topics. Read Merry's articles about herbs for Home, Kitchen, Garden and Healthcare. Sign up for the Free Weekly Herb Tip where you will learn things like when to cut your lavender or when to dig your Echinacea root. 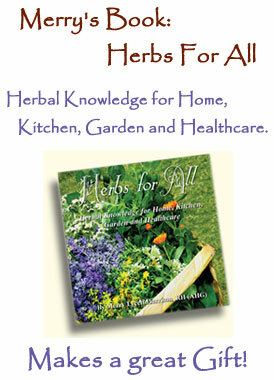 Her book Herbs For All is chock full of useful information and makes great gift. Her how-to videos will give you the inspiration you need and build your confidence in using herbs. 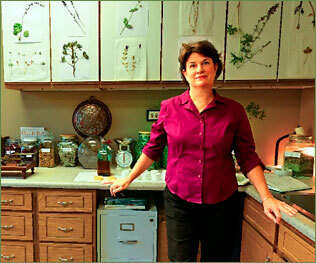 Her fascinating herb research focuses on the history of herbal medicine. Contact to inquire about a personal Consultation. Merry says, "Becoming an herbalist has made me feel more at home in my world because everywhere I look I see plants I know and appreciate. I live my life to the rhythm of the seasons in order to grow, harvest and process my herbs for best benefit." and energy benefits you love! The ONLY all-in-one Herbal Energy Solution! "Thrive Tonic® is like a consultation with me in a bottle." Join the Thrive Tonic community on Facebook. Available online or at these fine retailers.